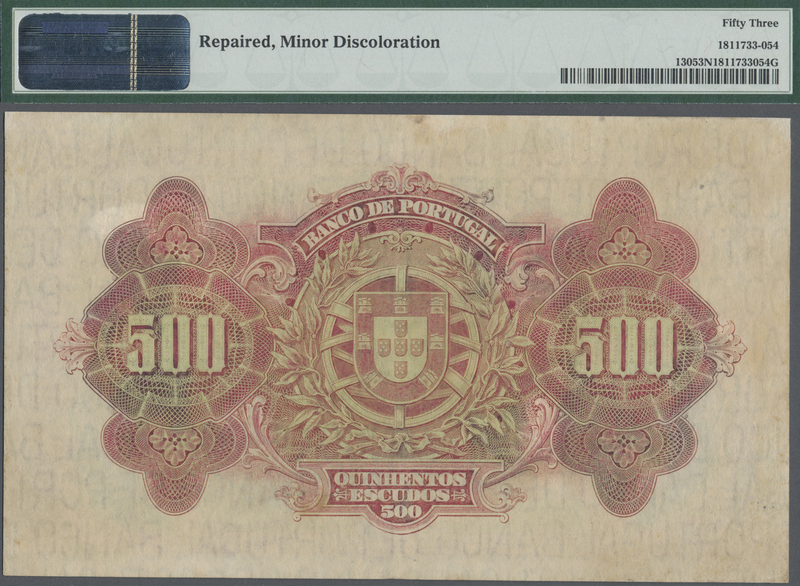 2633 Pick 16a 50 Dollars 1990 P. 16a in condition: UNC. 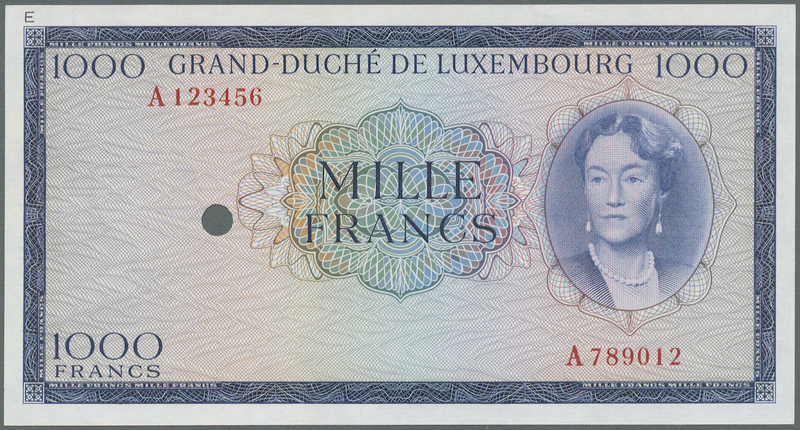 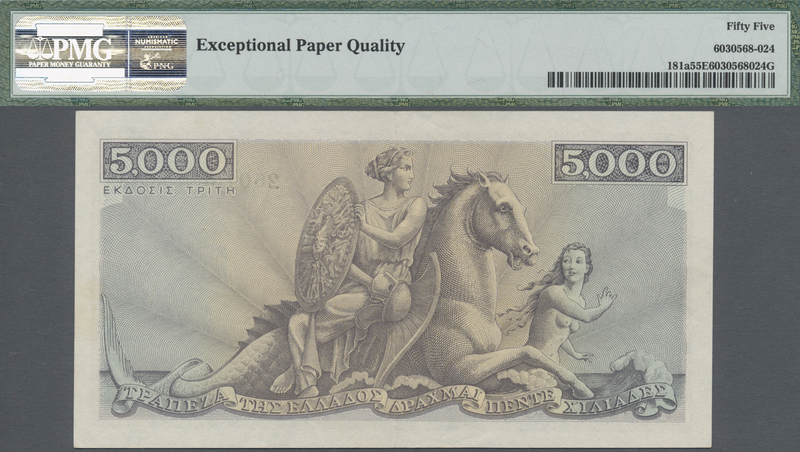 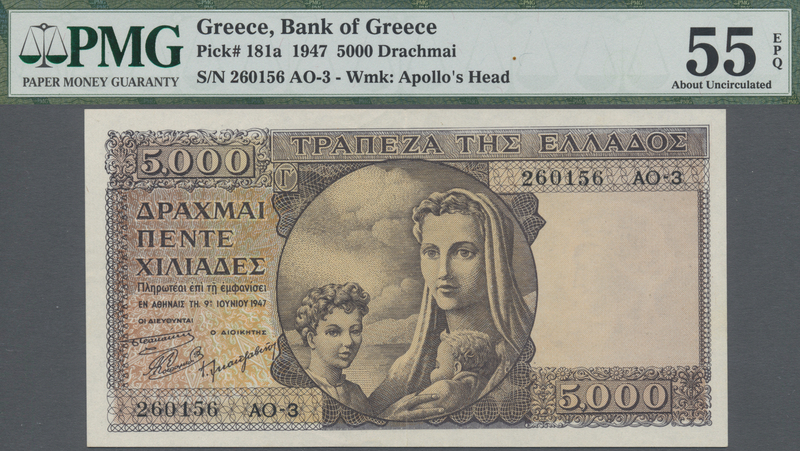 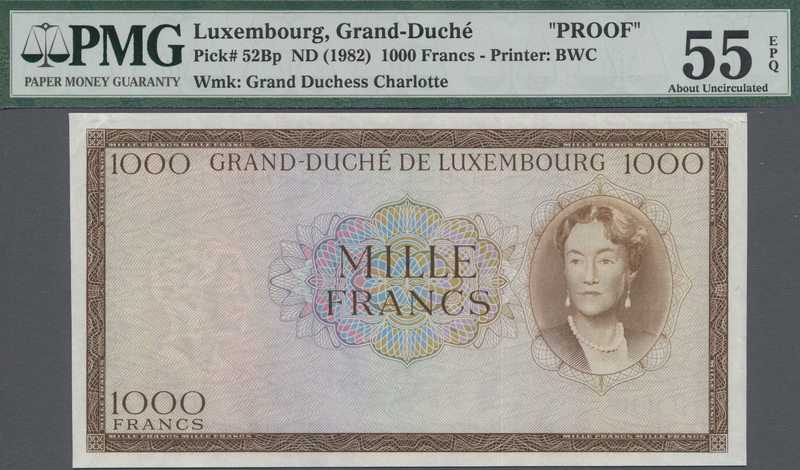 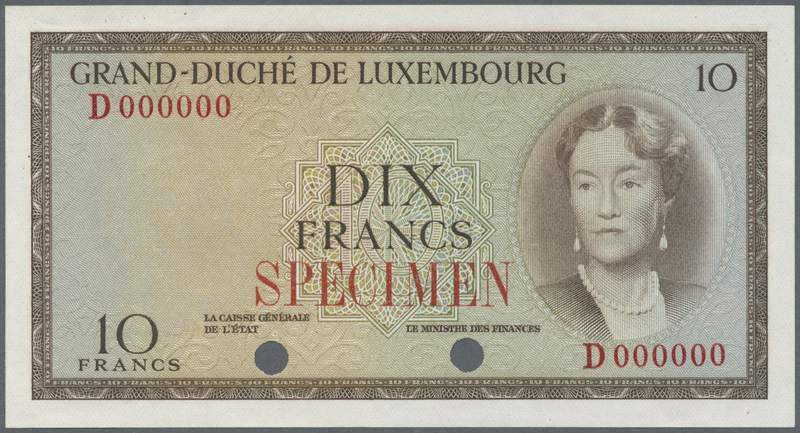 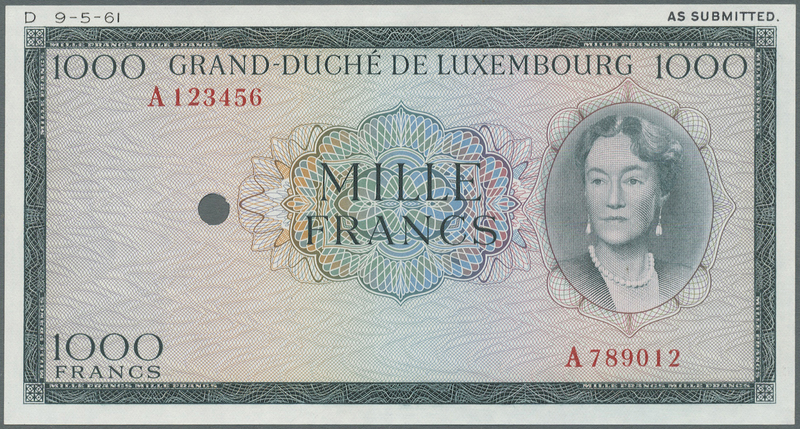 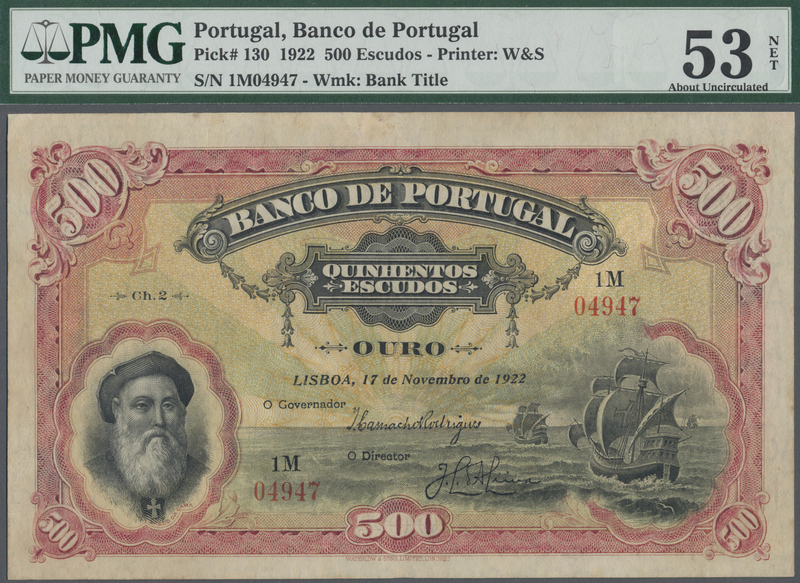 2639 Pick 181a 5000 Drachmai 1947, P.181a PMG graded 55 aUNC EPQ. 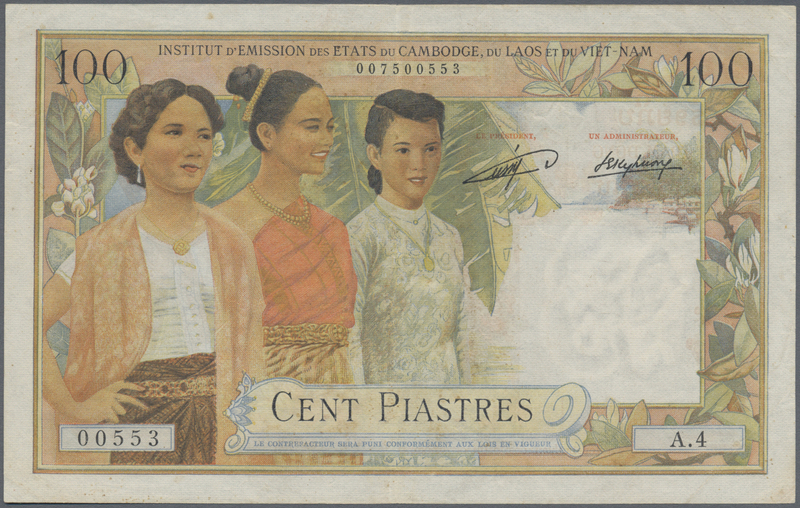 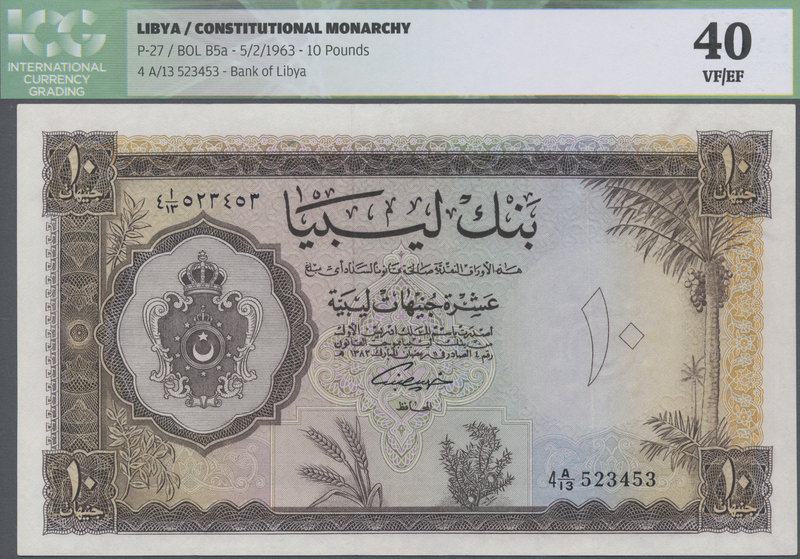 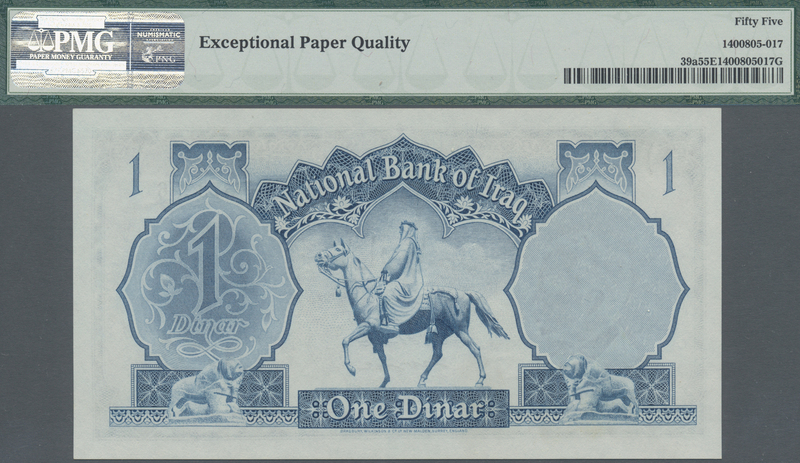 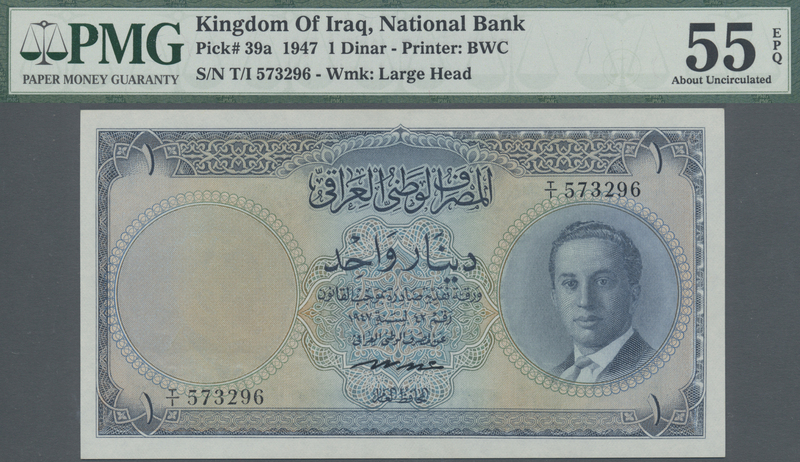 2641 Pick 39a 1 Dinar ND(1947) P. 39a, Printer BWC, PMG graded 55 aUNC EPQ. 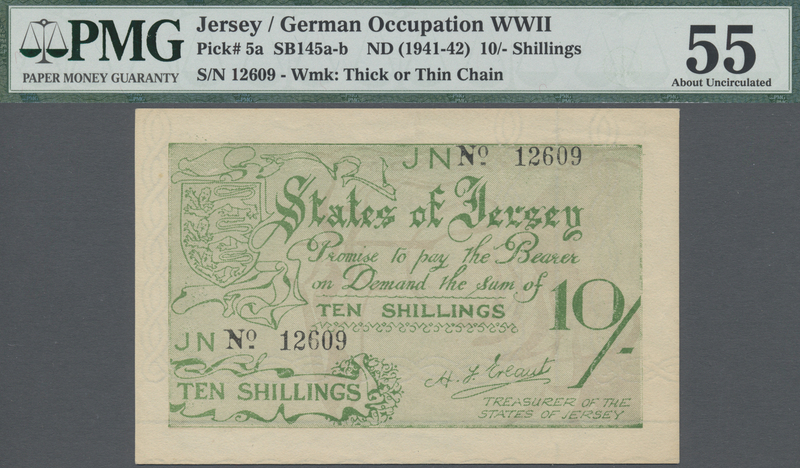 2642 Pick 5a German Occupation WW II. 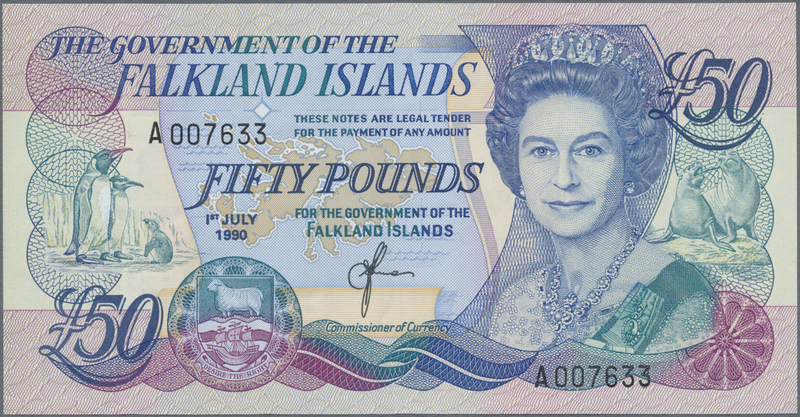 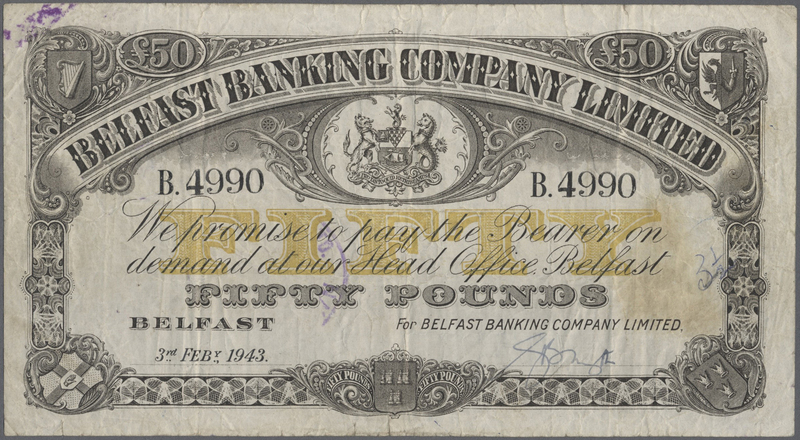 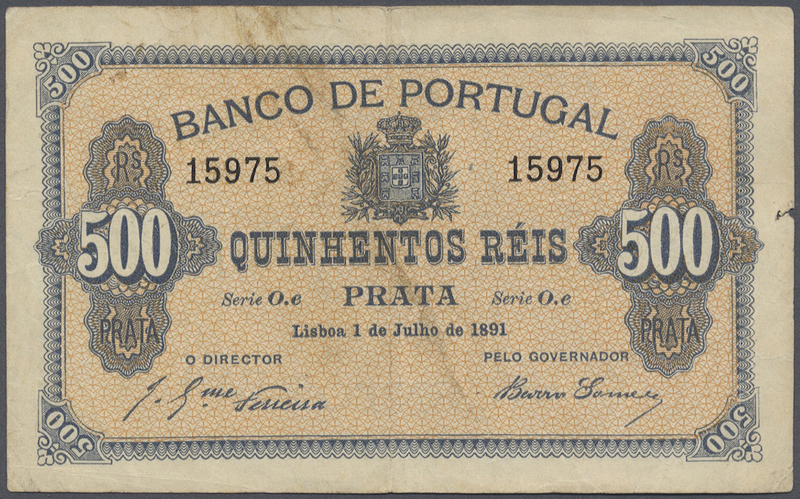 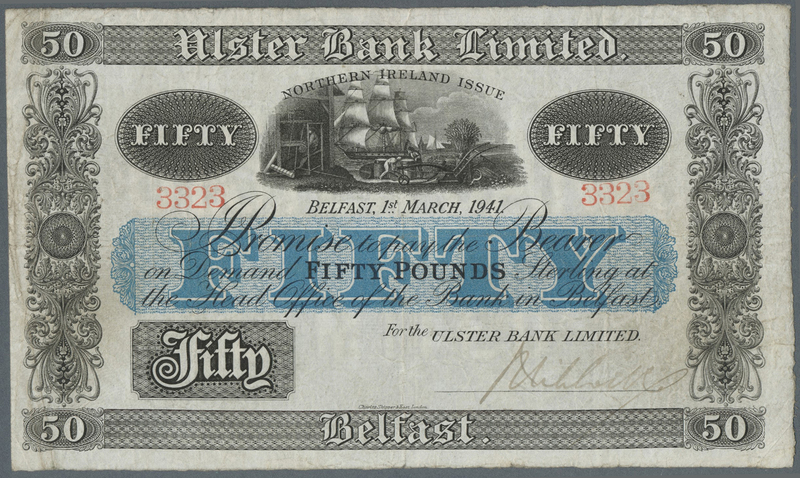 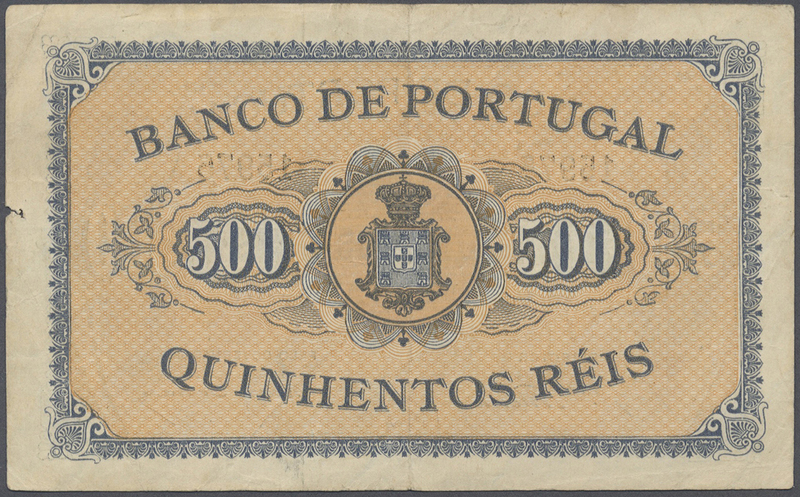 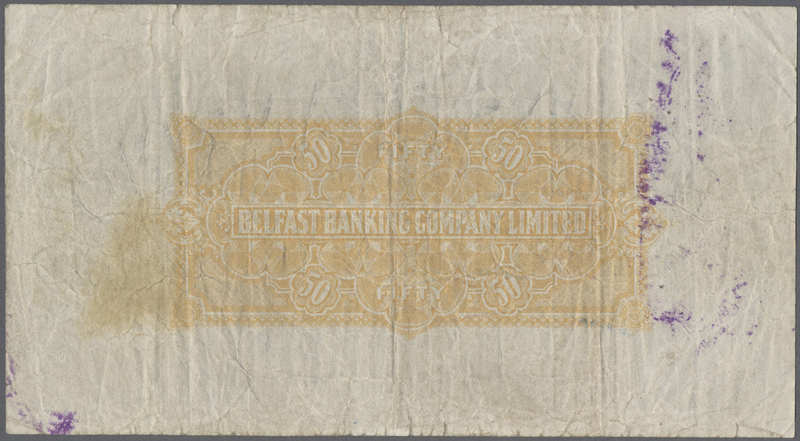 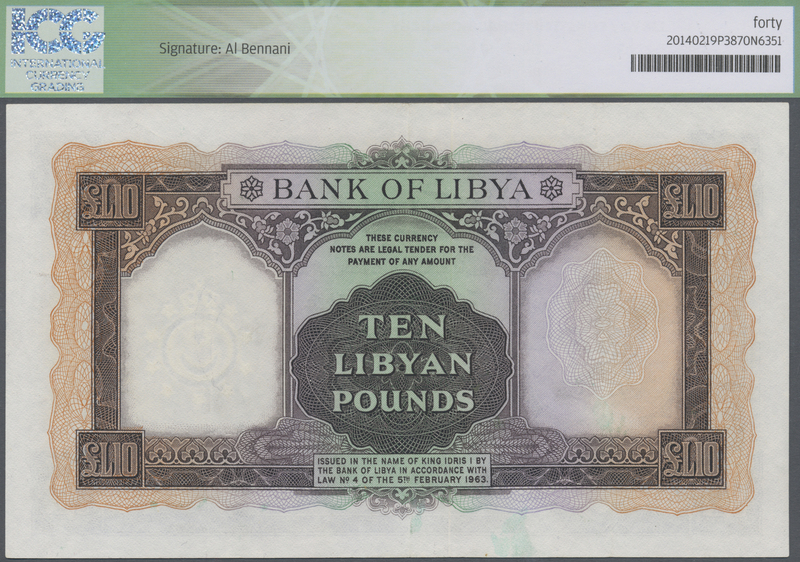 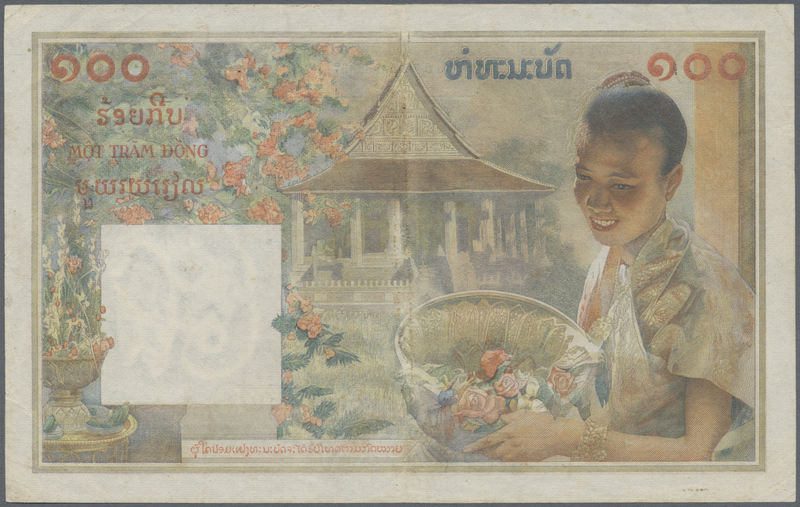 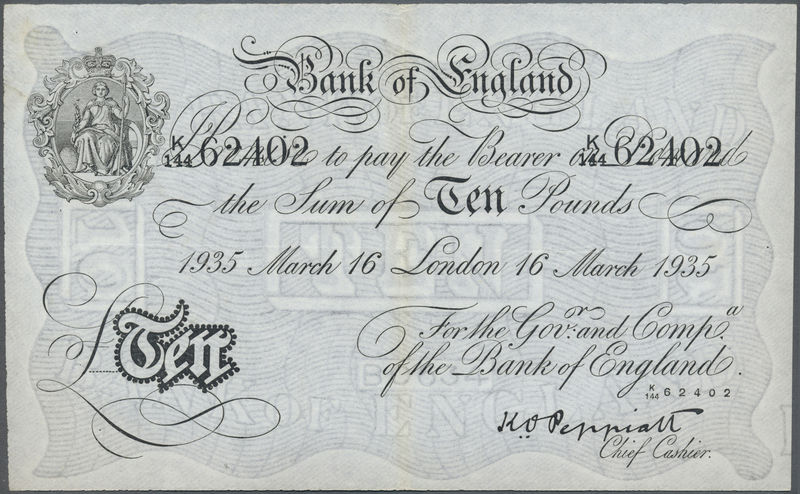 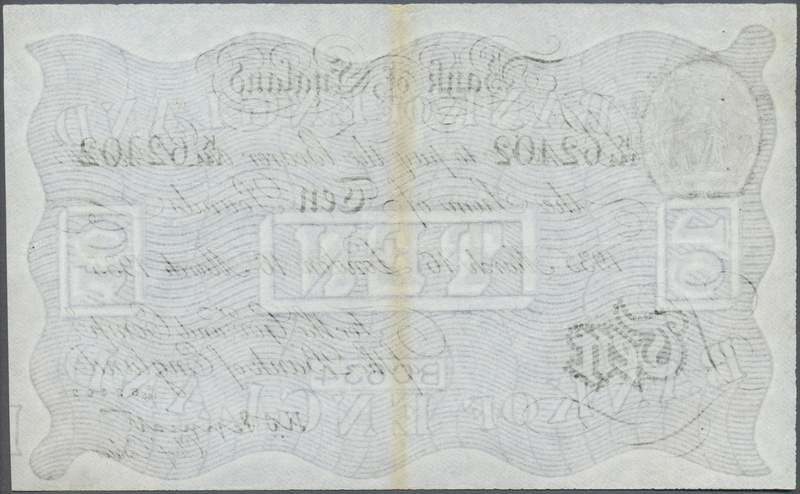 : 10 Shillings ND(1941-42) P. 5a, PMG graded 55 aUNC. 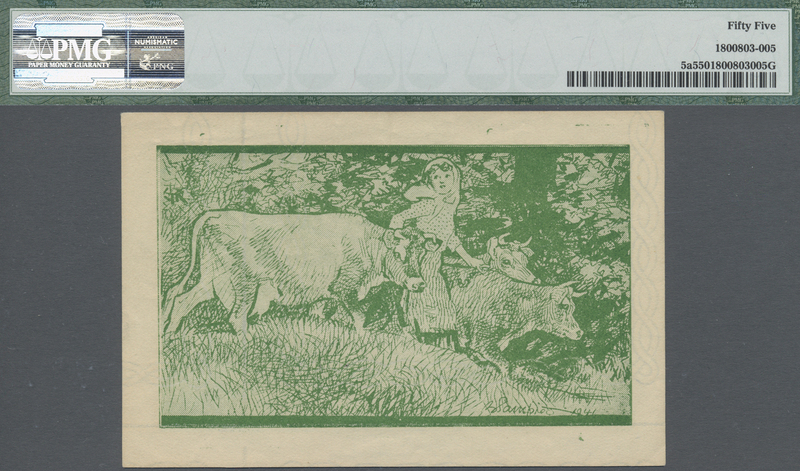 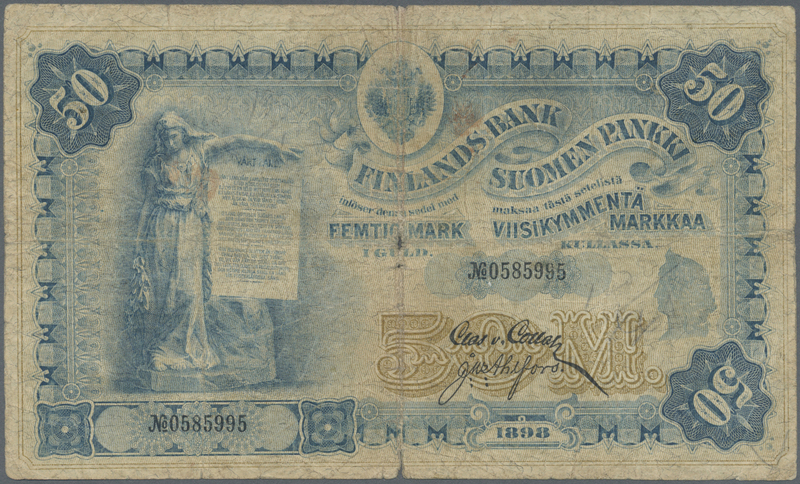 2643 Pick 18 25 Latu 1928 P. 18, series A, sign. 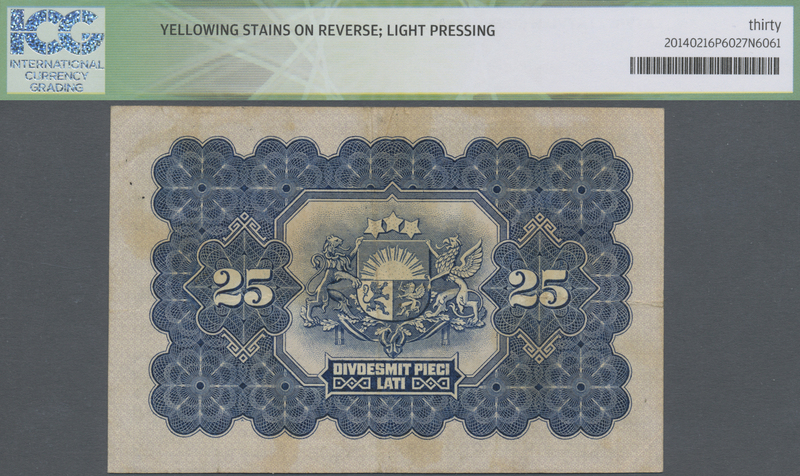 Kalnings, Yellowing Stains on reverse, light pressing. 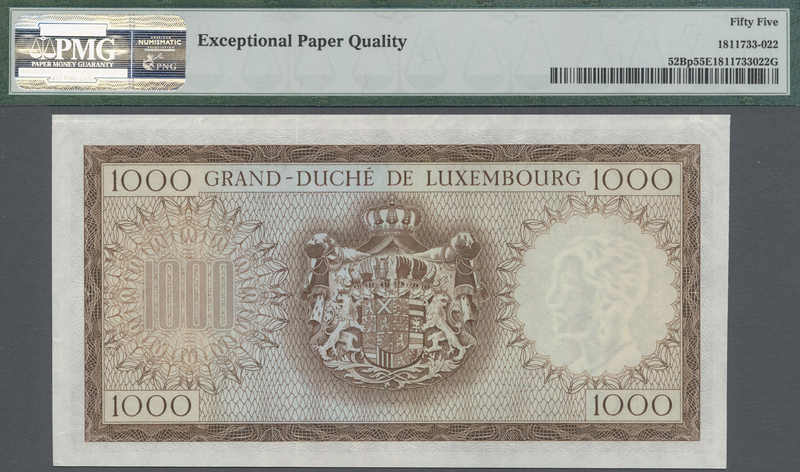 ICG graded 30* very fine. 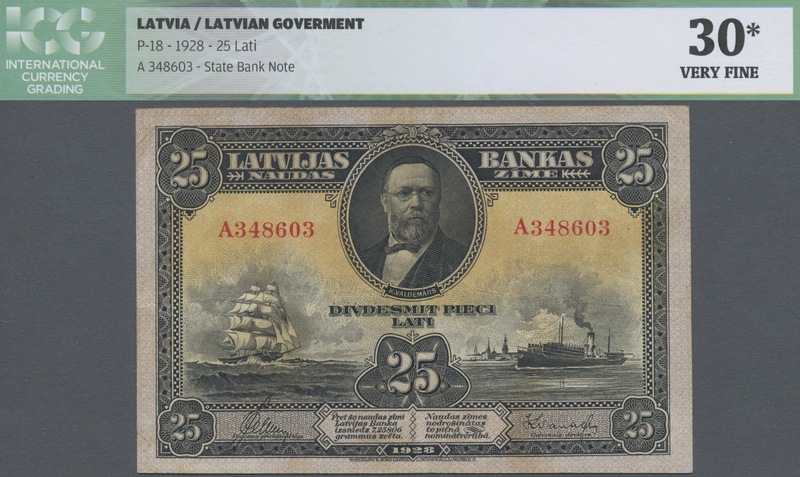 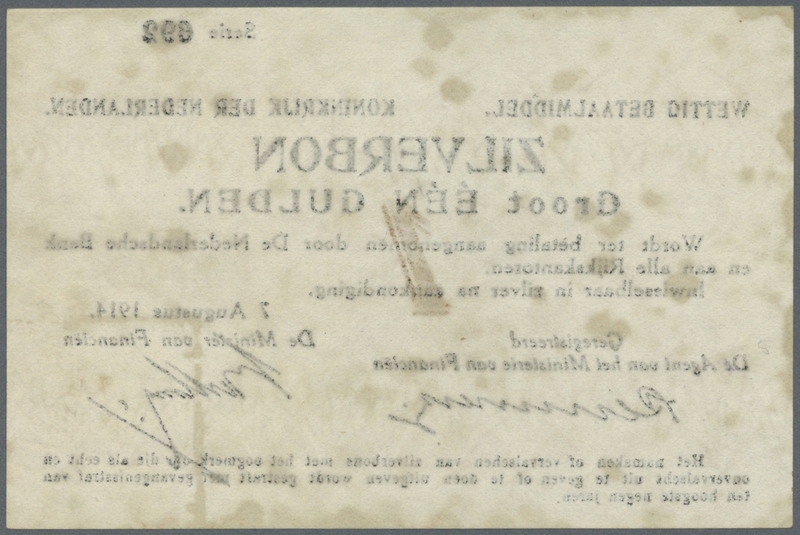 2644 Pick 24d 10 Latu 1925, P.24d, minor Foreign Substance, Sign #7 & #6, PMG graded 35 Choice Very Fine NET. 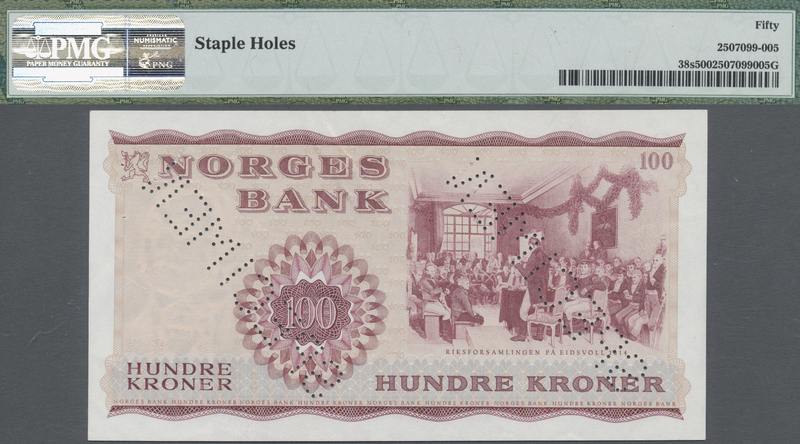 2657 Pick 33s 100 Kroner 1950 SPECIMEN, P.33s with serial number X0000000, punch hole cancellation and overprint Specimen. 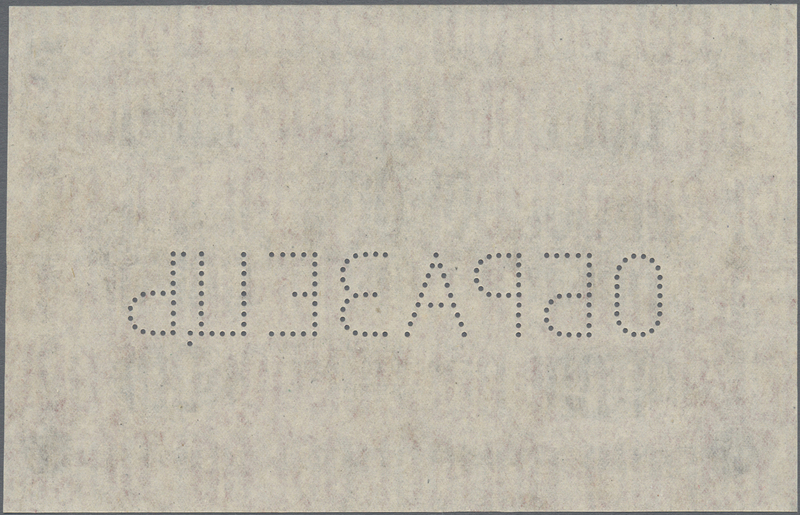 There is just a tiny edge bend at upper right, otherwise perfect. 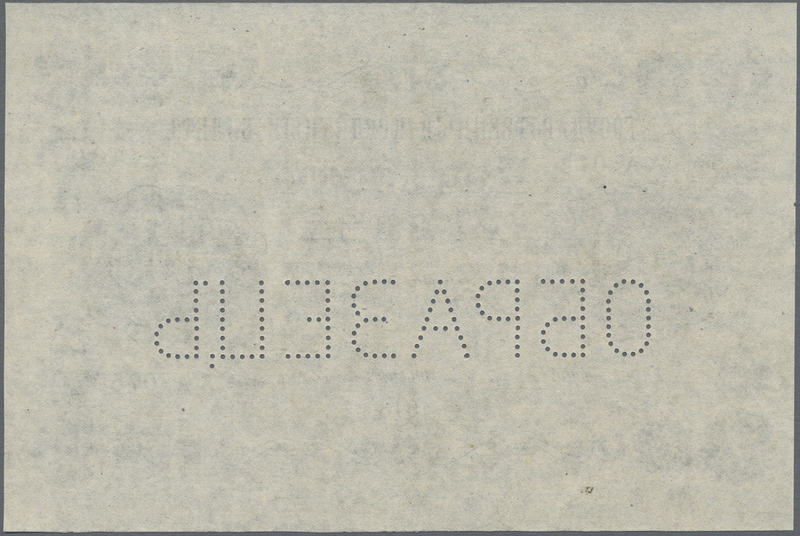 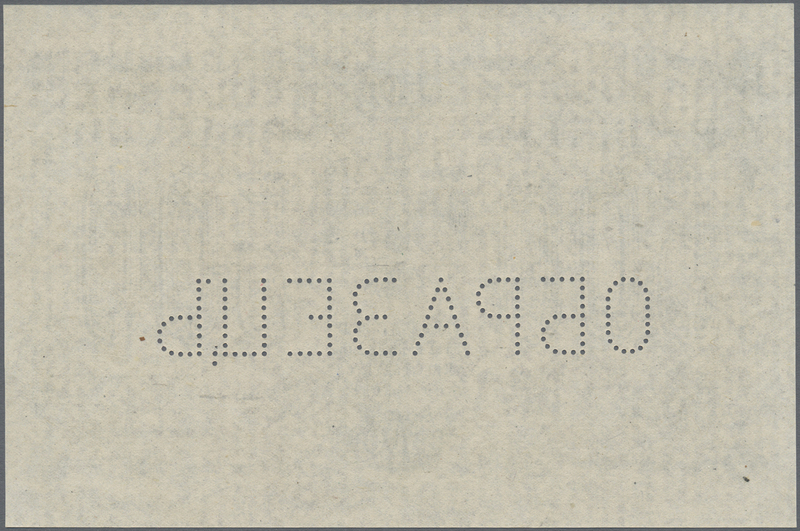 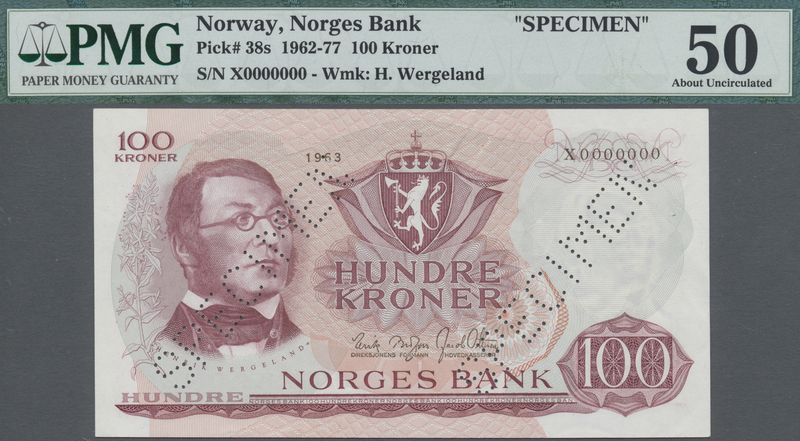 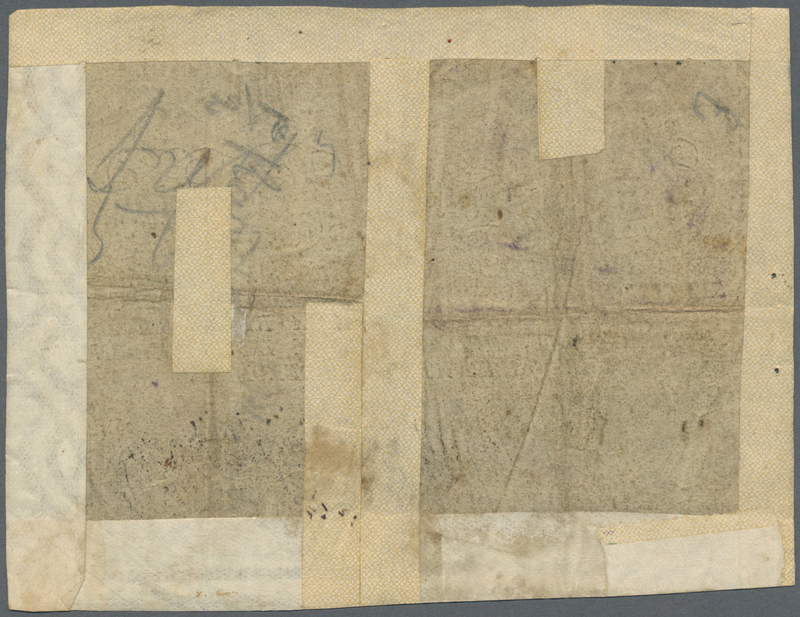 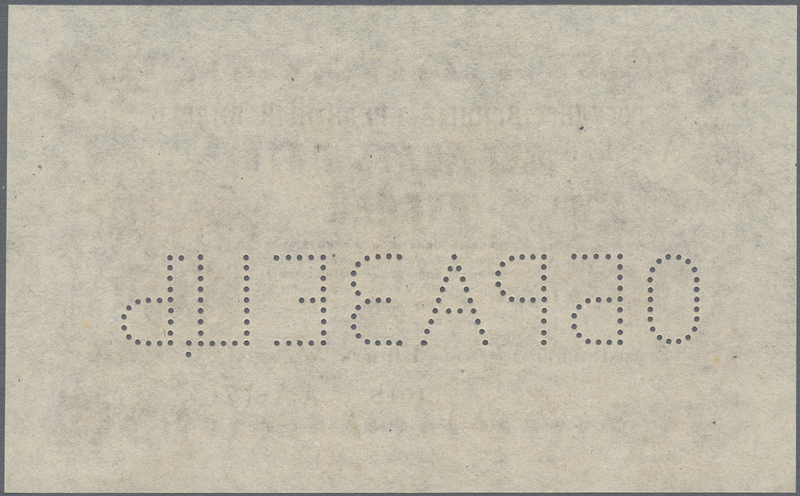 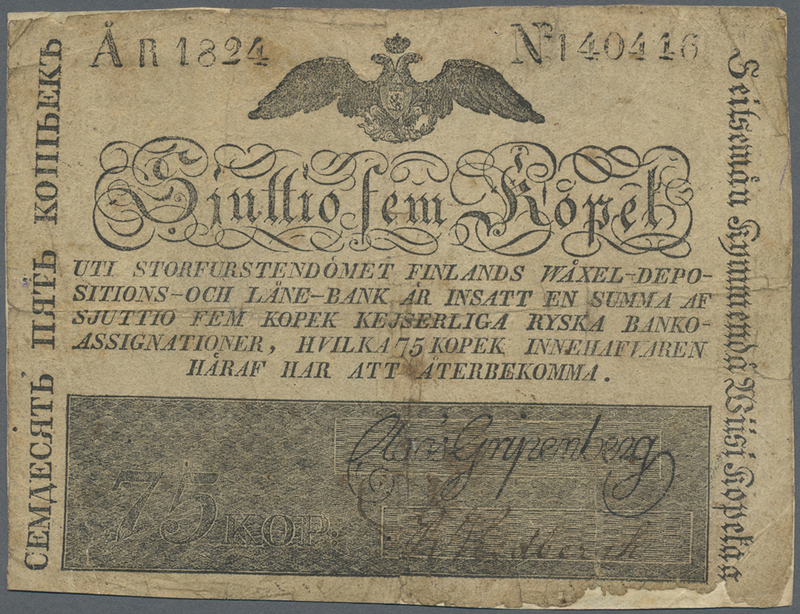 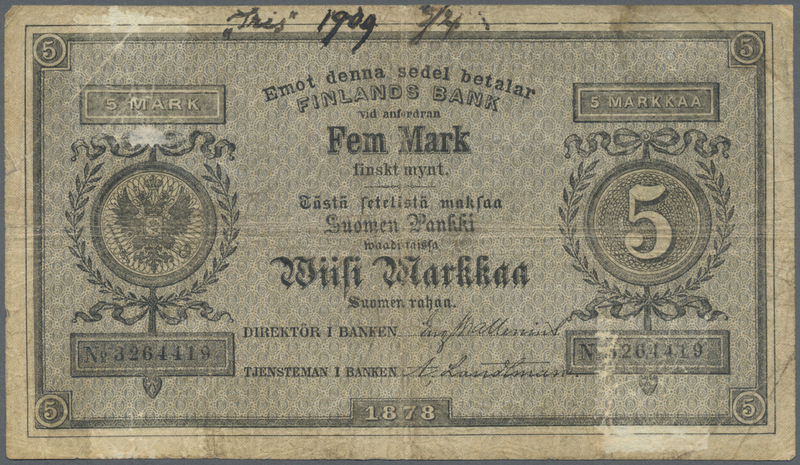 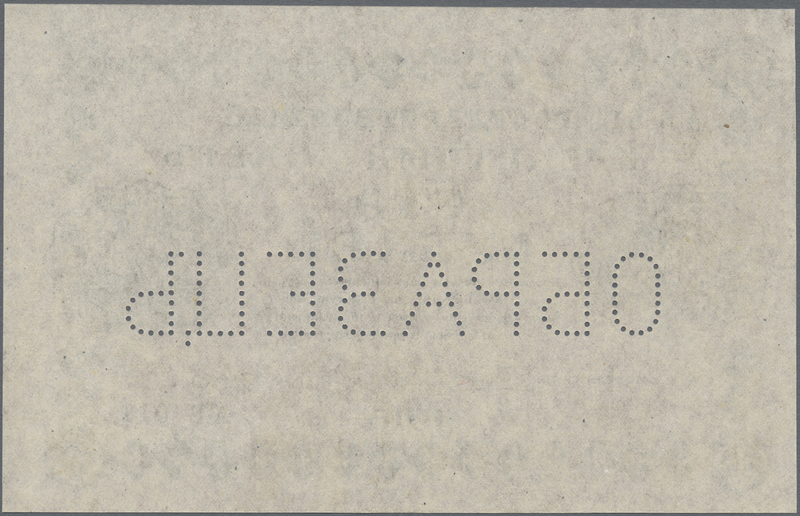 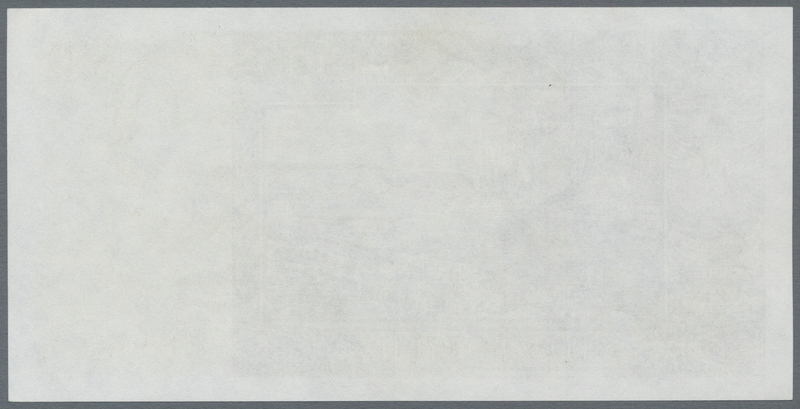 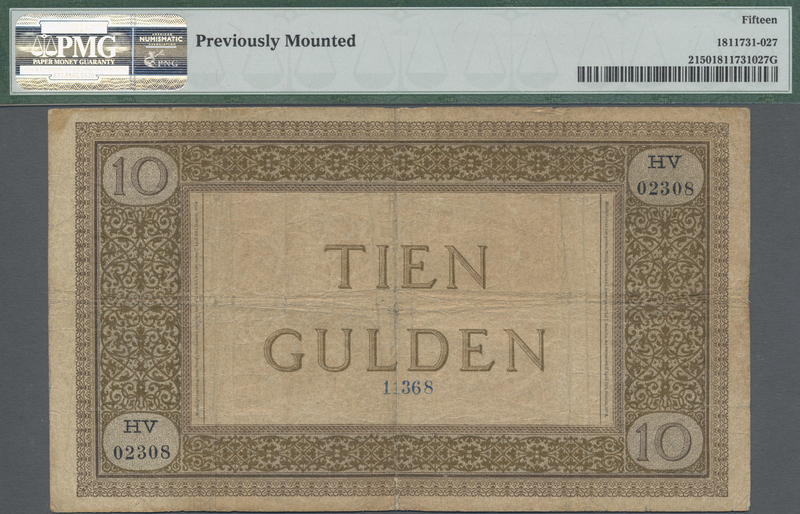 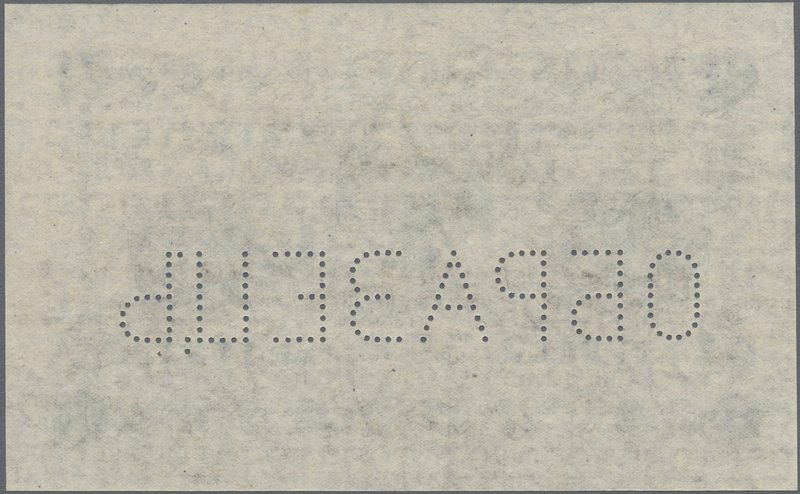 Highly Rare and very hard to find Specimen note from Norway. 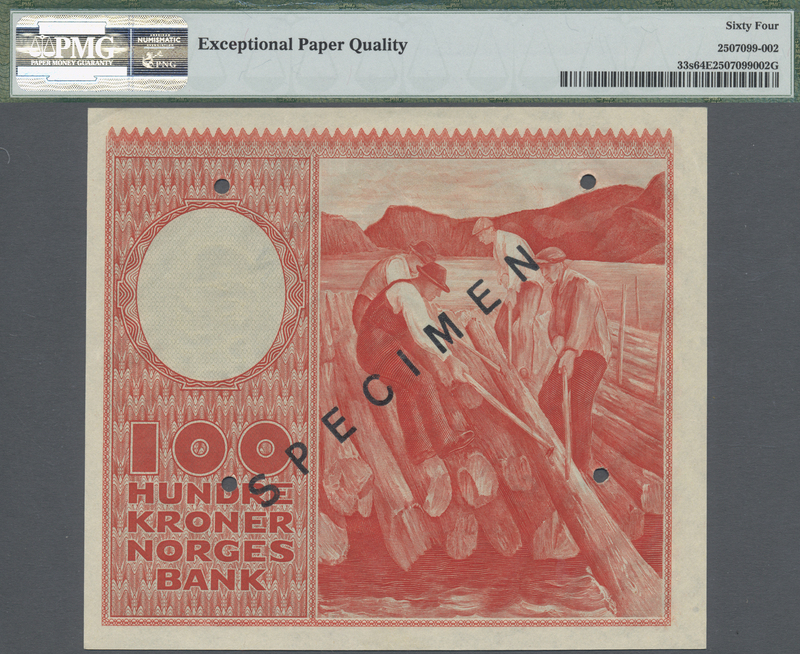 PMG graded 64 choice UNC EPQ. 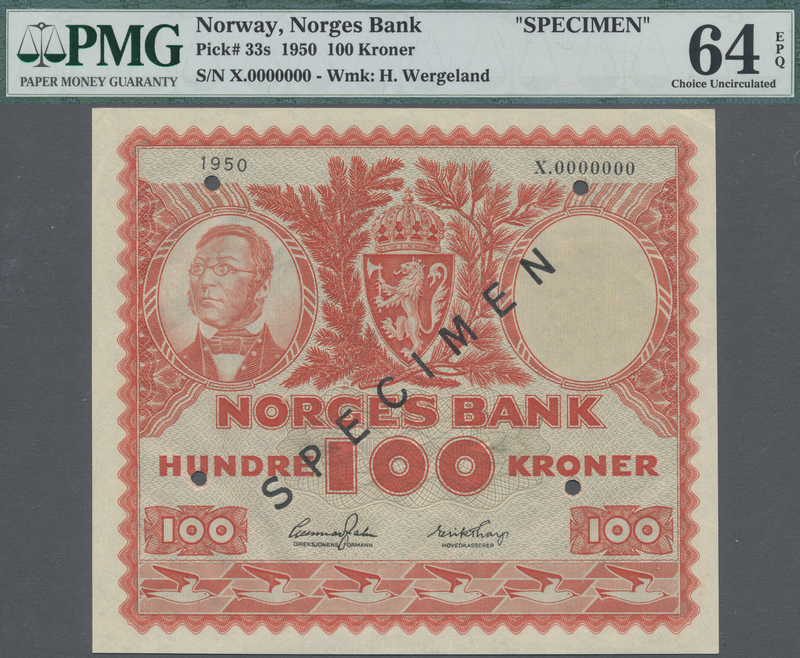 2658 Pick 38s 100 Kroner 1963 Specimen P. 38s with Serial number X 0000000, Specimen perforation, Staple holes, PMG graded 50 aUNC. 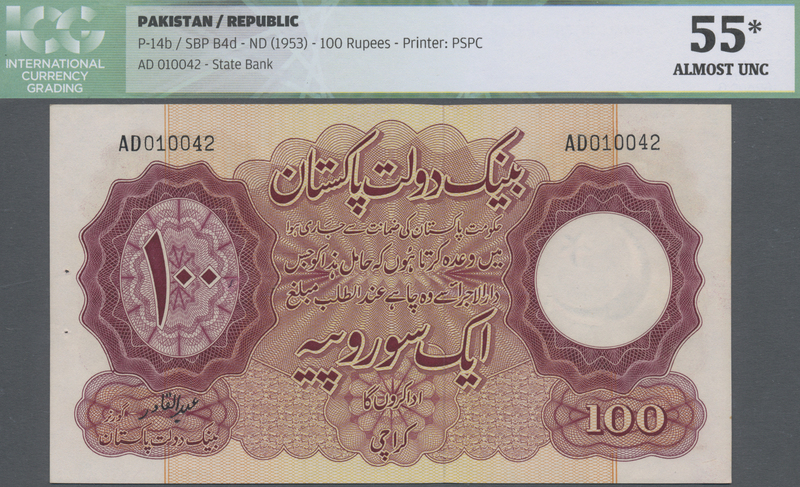 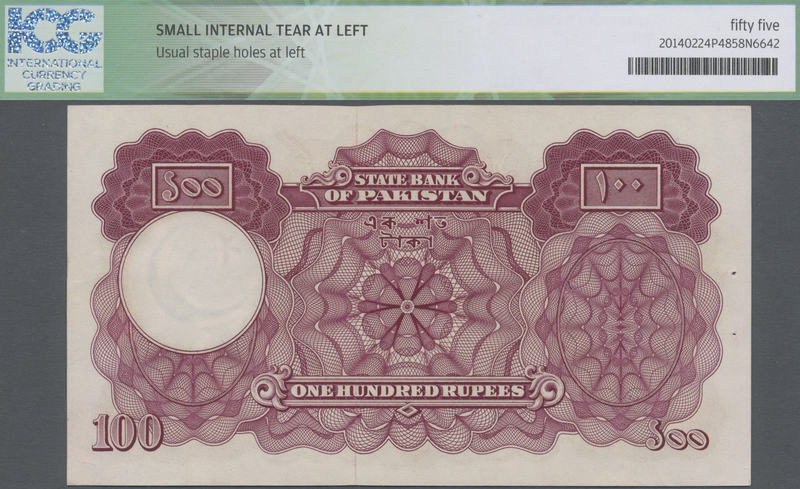 2659 Pick 14 100 Rupees ND(1953), P.14b in almost perfect condition with a few minor spots and pinholes at left as usually, ICG graded 55 Almost UNC. 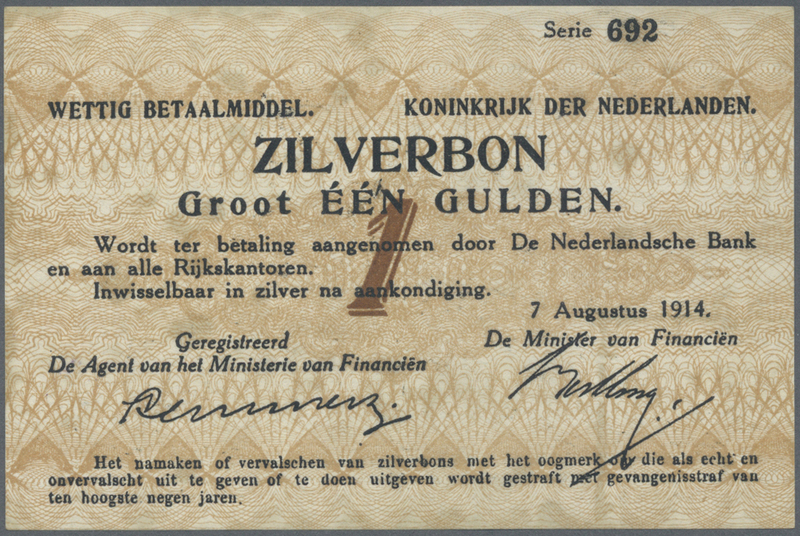 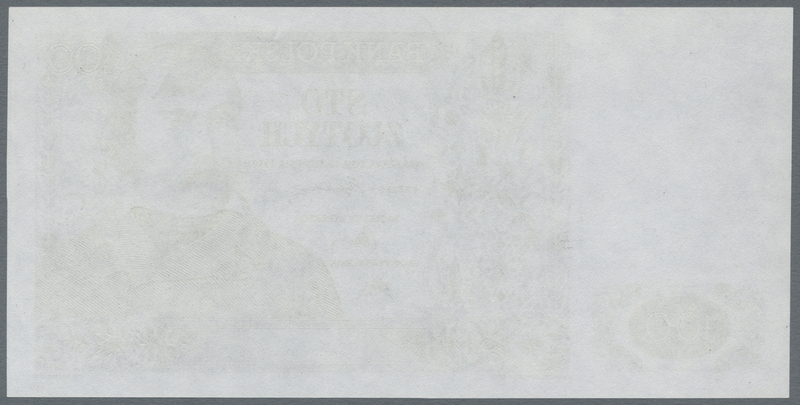 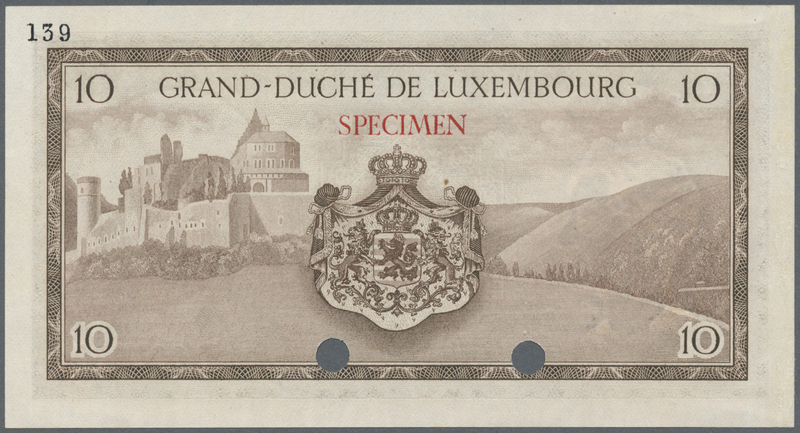 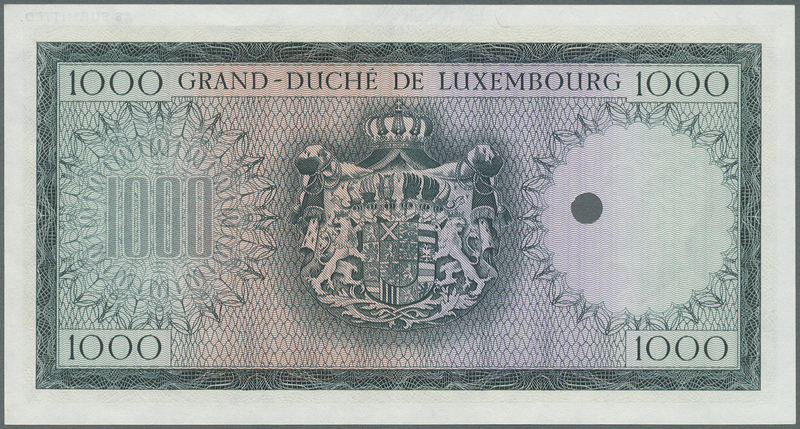 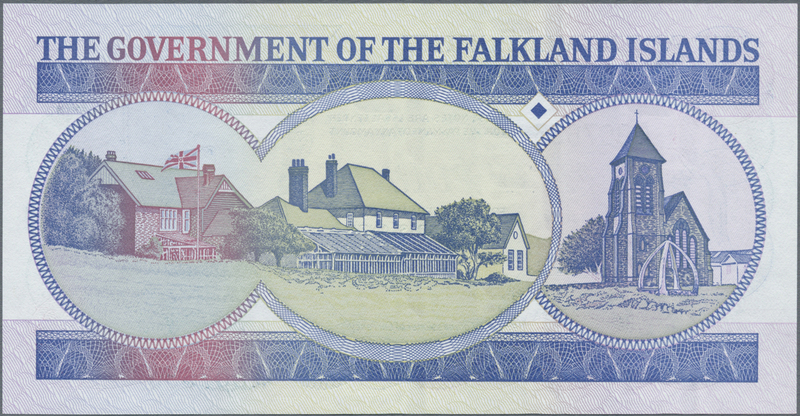 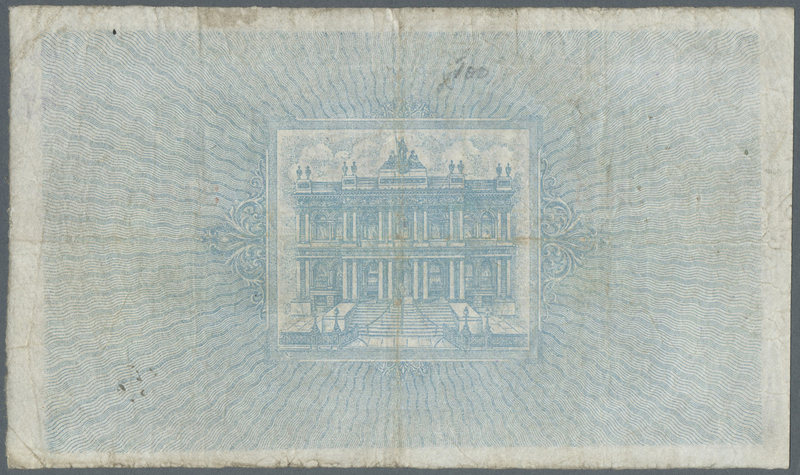 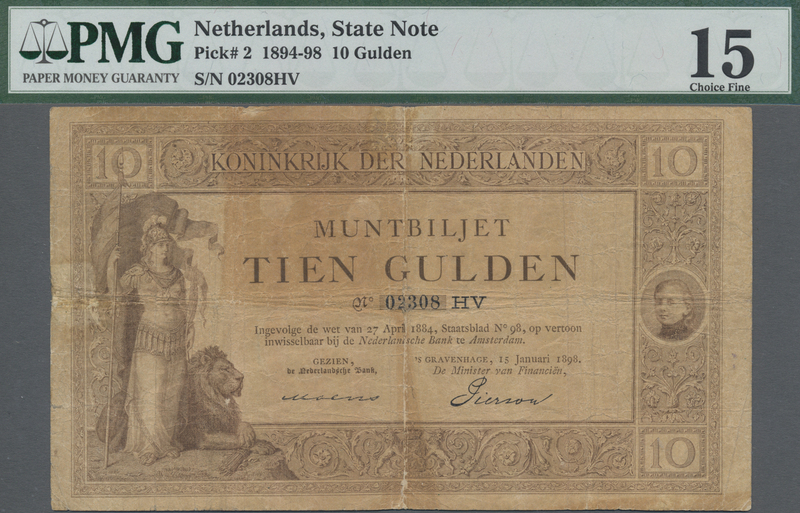 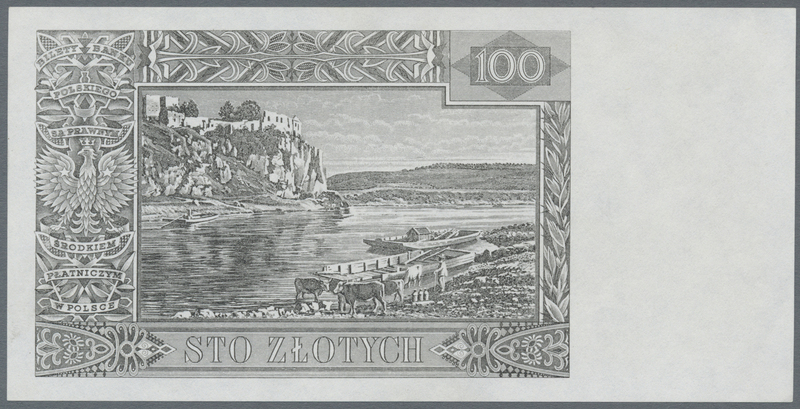 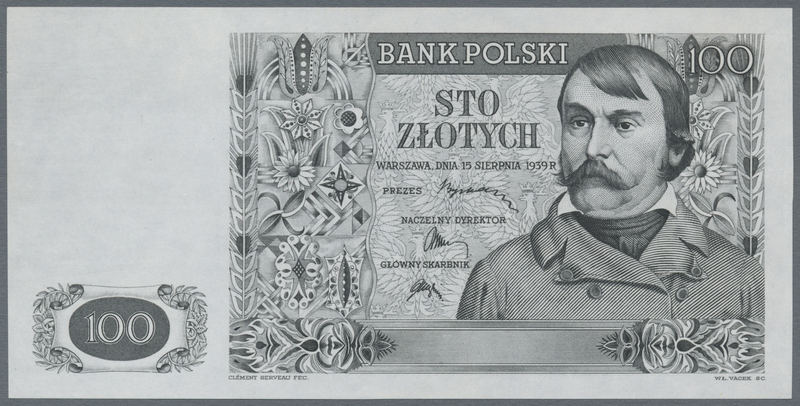 2660 Pick NL design Proof of unissued banknote 100 Zlotych 1939 P. NL, black uni color, front and back side seperately printed, both in condition: aUNC. 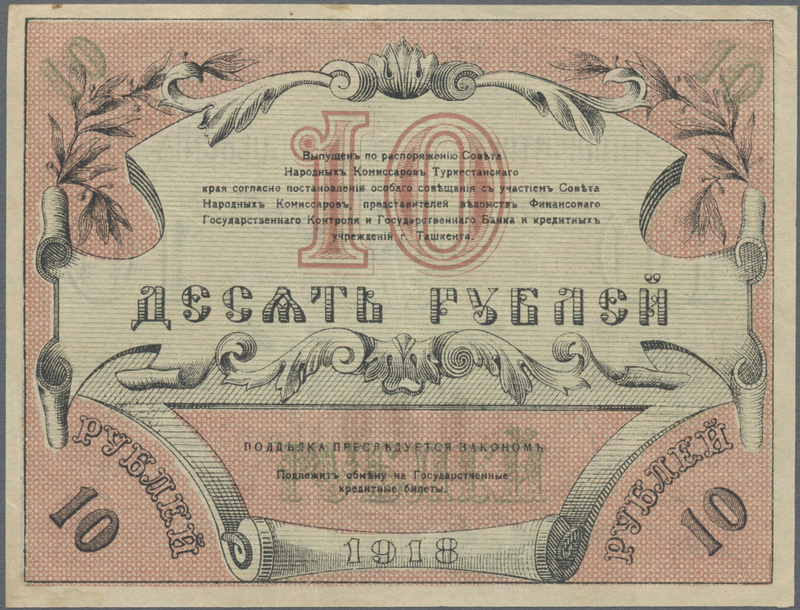 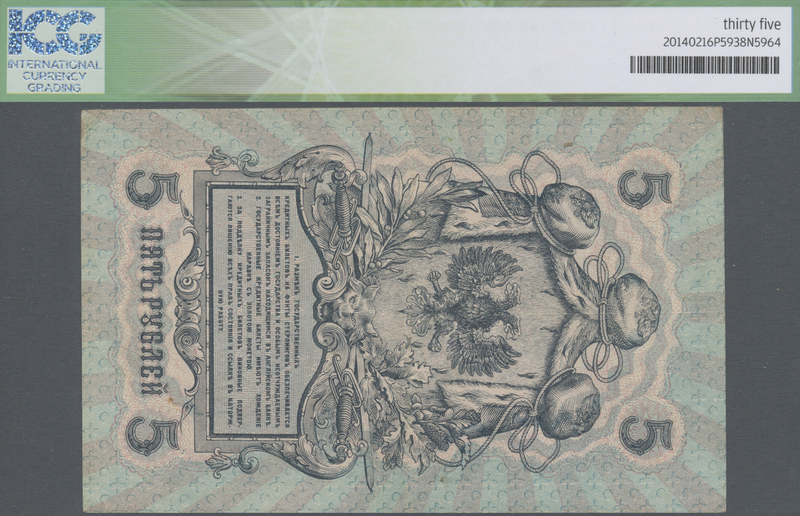 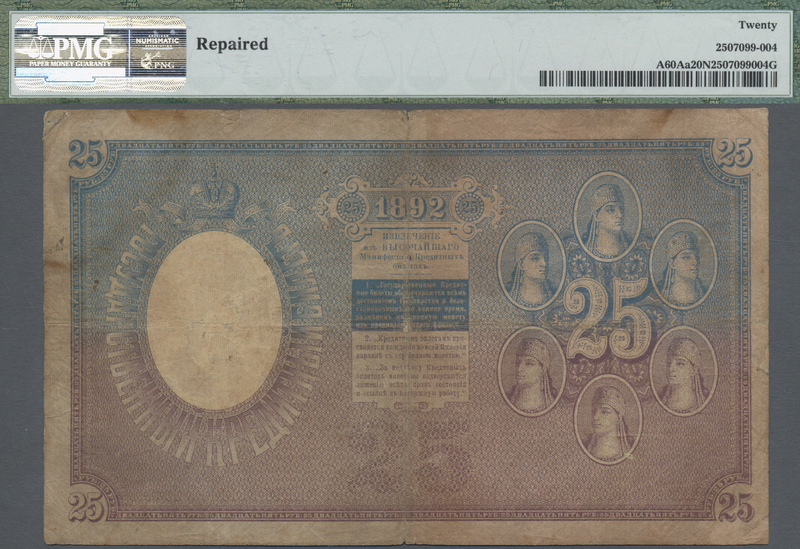 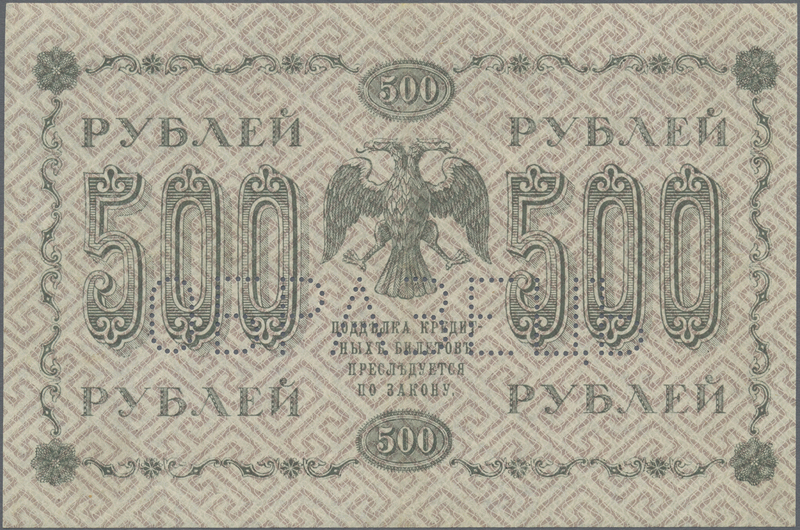 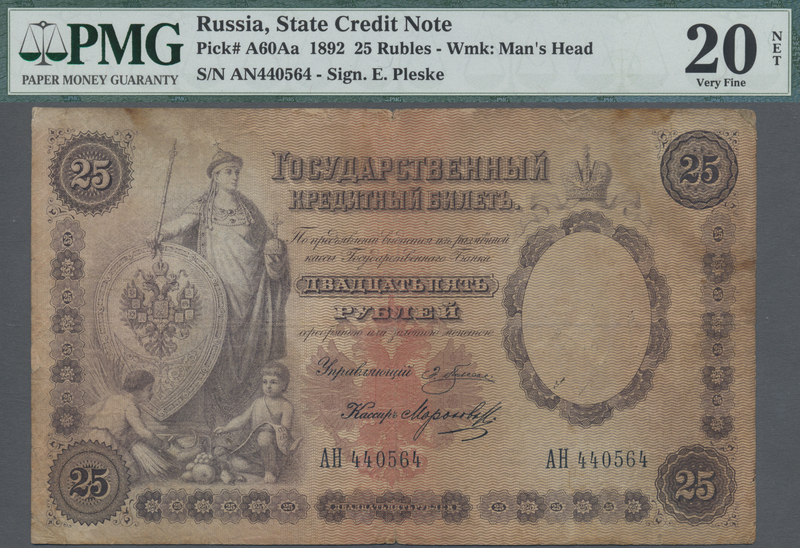 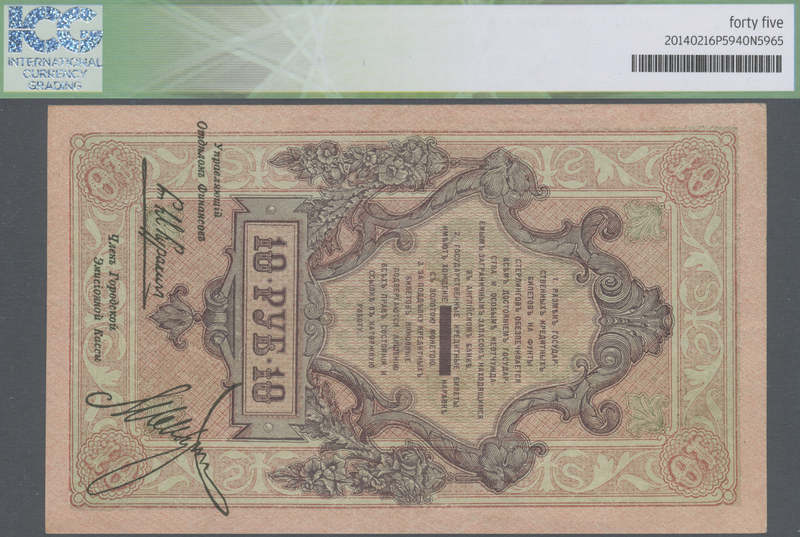 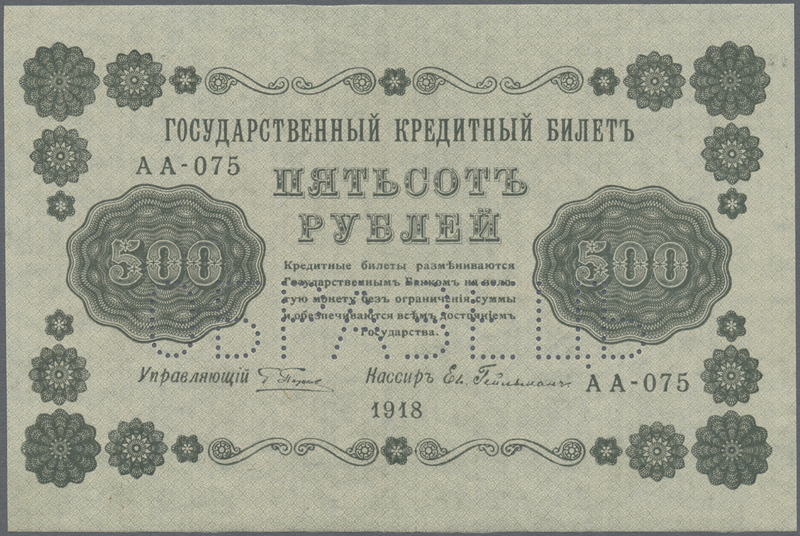 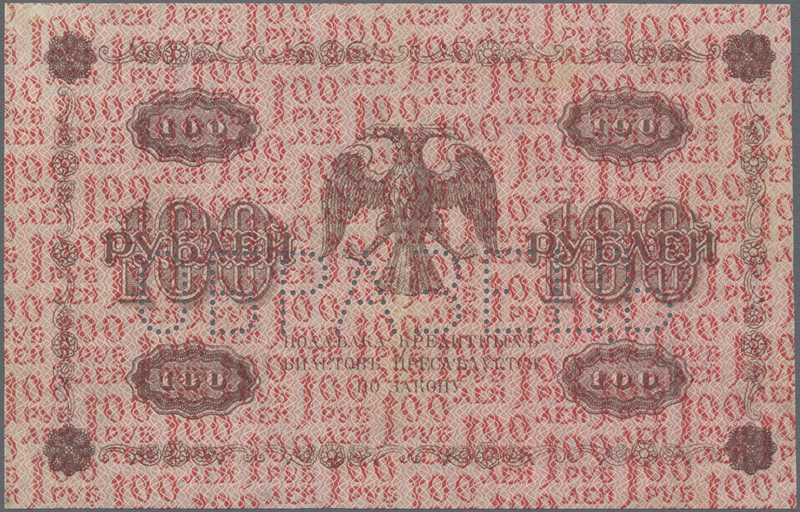 2663 Pick A60Aa 25 Rubles 1892 Treasury note, P. A60Aa, PMG graded 20 Very Fine. 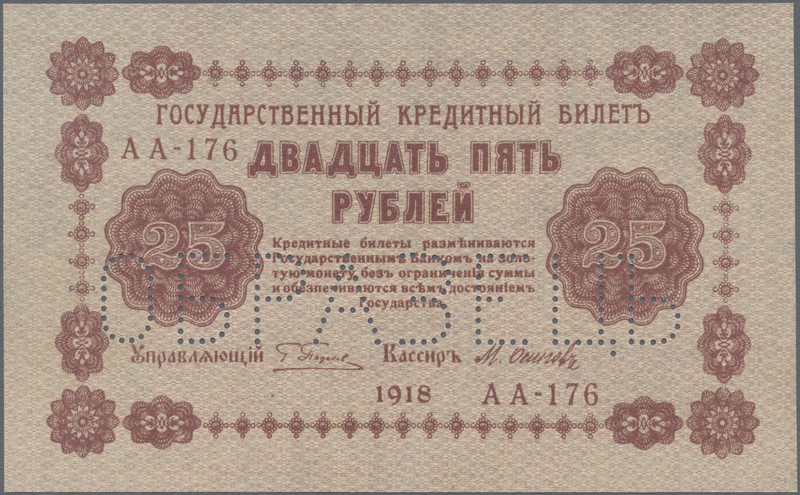 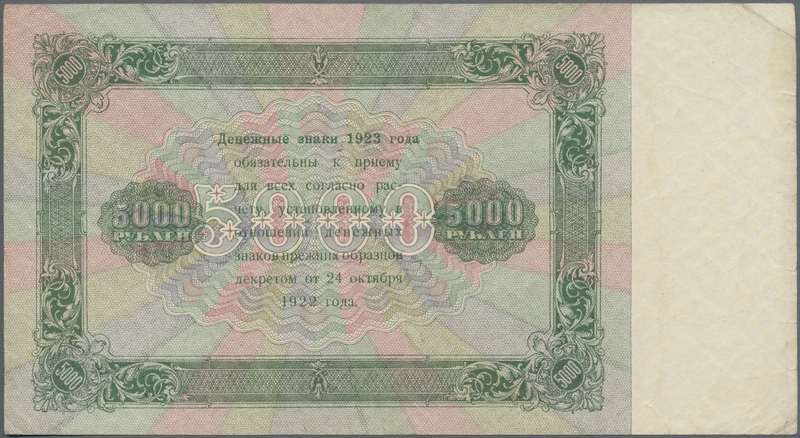 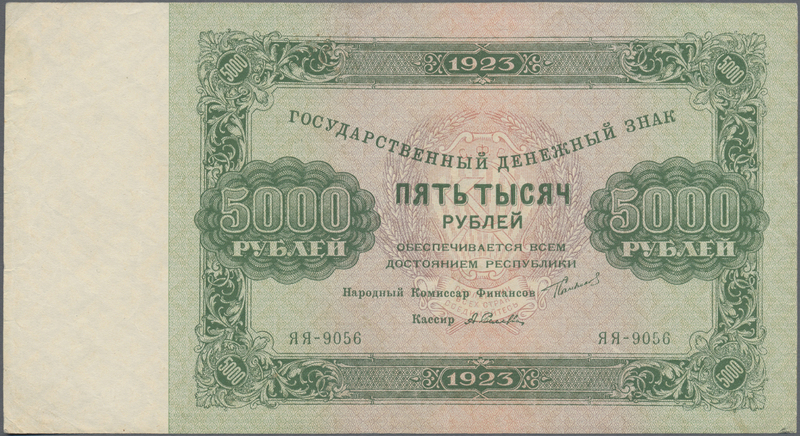 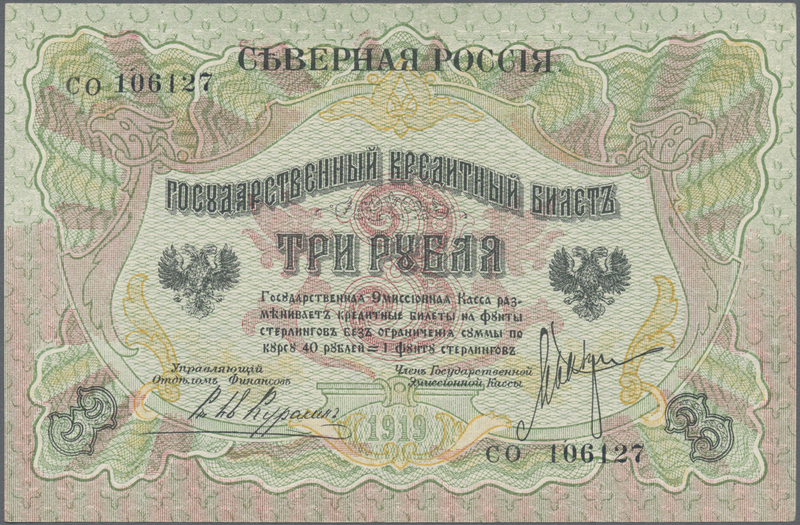 2667 Pick 171 5000 Rubles 1923 P. 171, small tears at the edges, condition: XF. 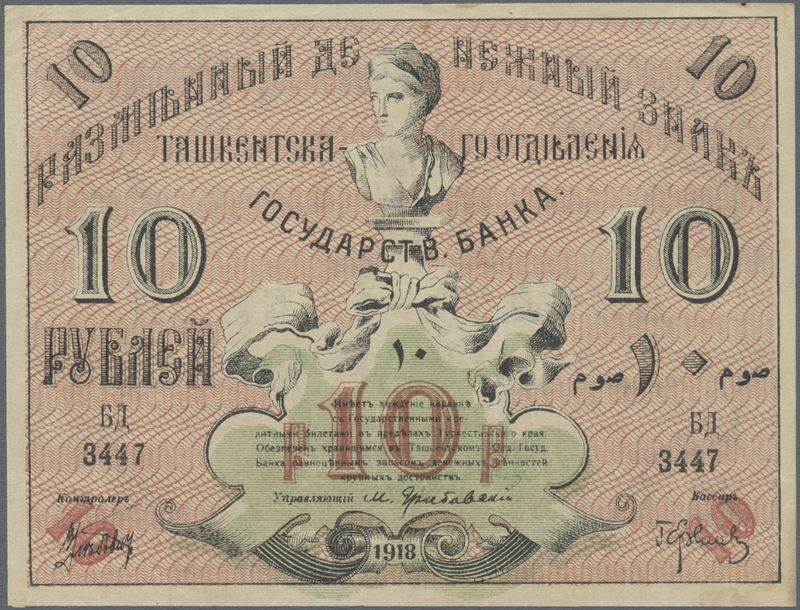 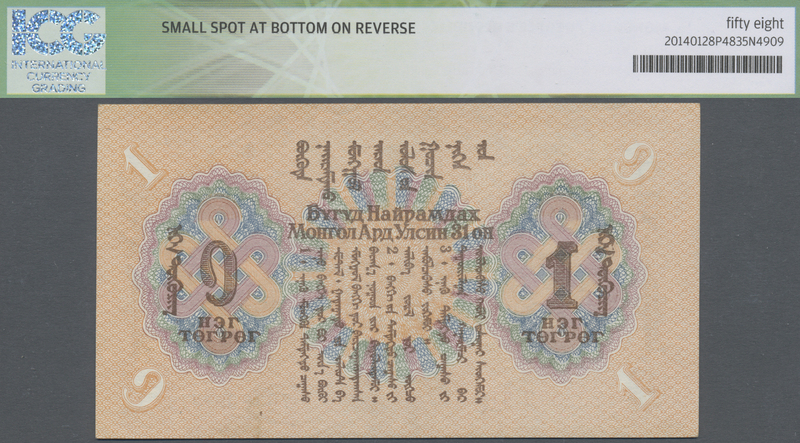 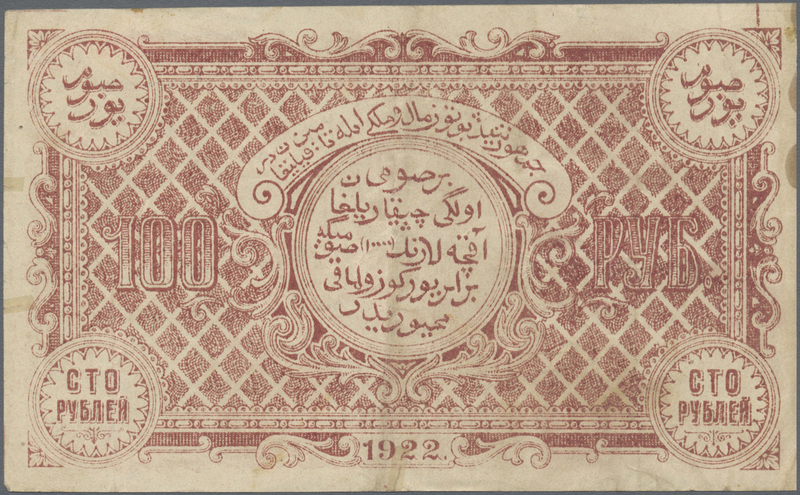 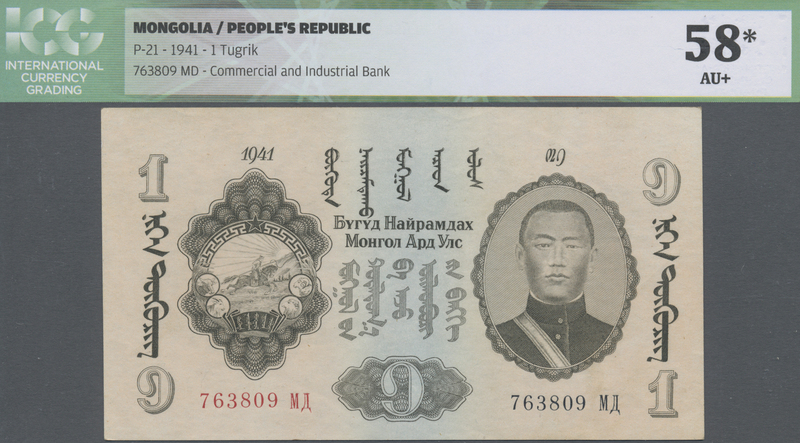 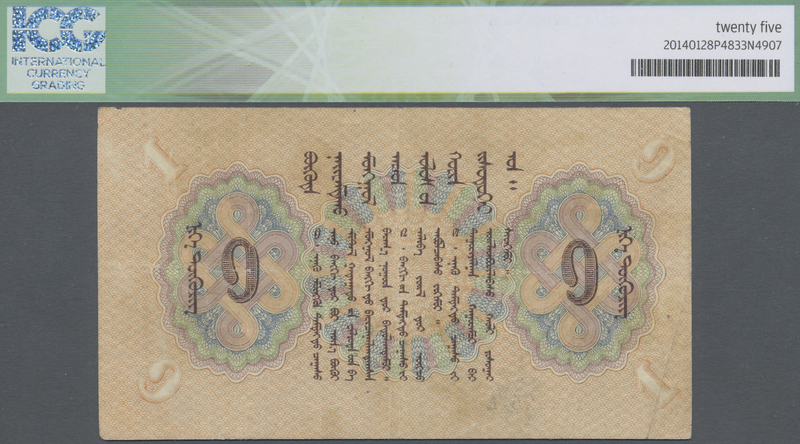 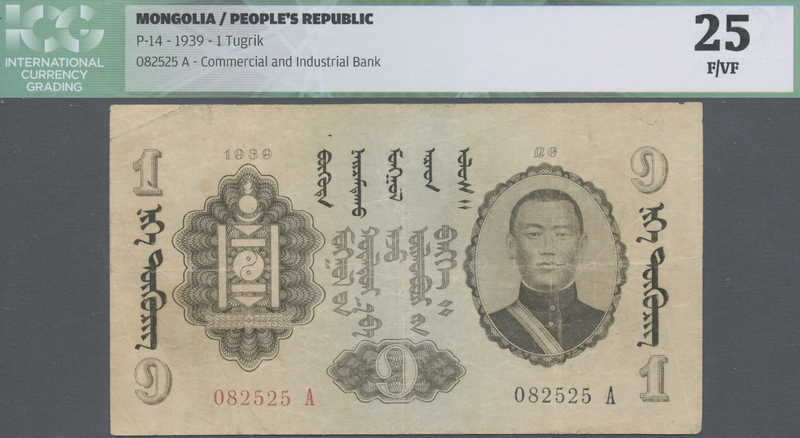 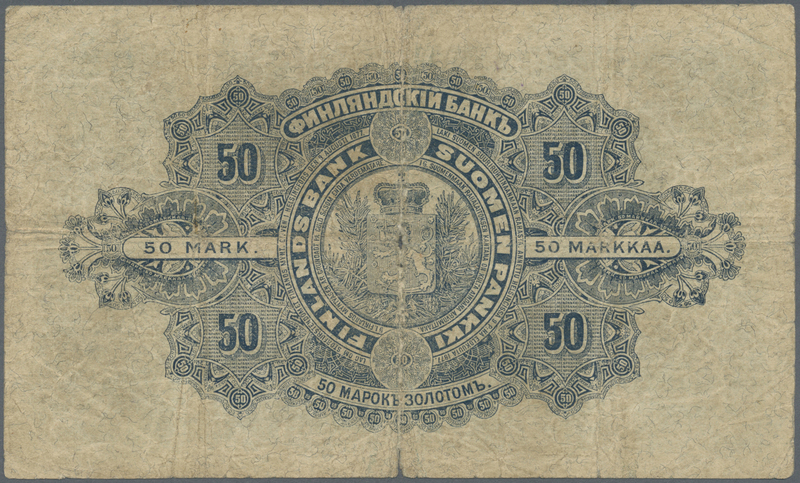 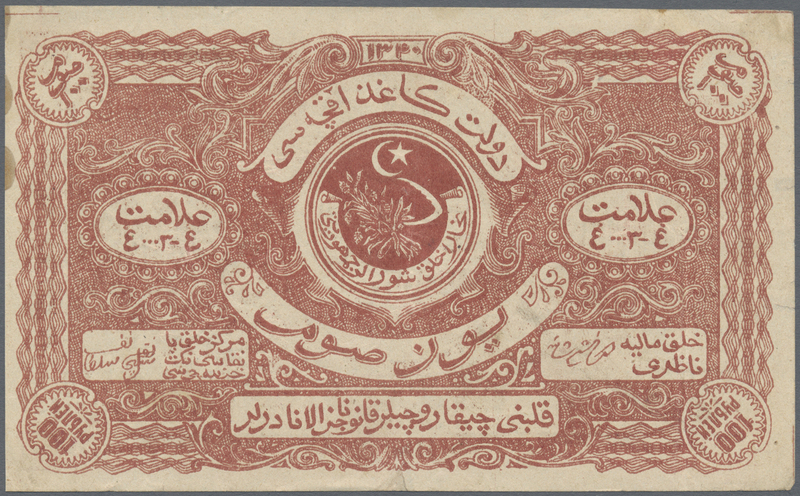 2668 Pick S10 Bukhara Peoples Republic, 100 Rubles 1922, WMK: NET, P.S1050, vertical fold, repaird bottom tear, condition: F.
2669 Pick S115 Turkestan District, Tashkent State Bank branch, 10 Rubles / Sum 1918, P.S1115 sign#1, minor Stains, condition: XF. 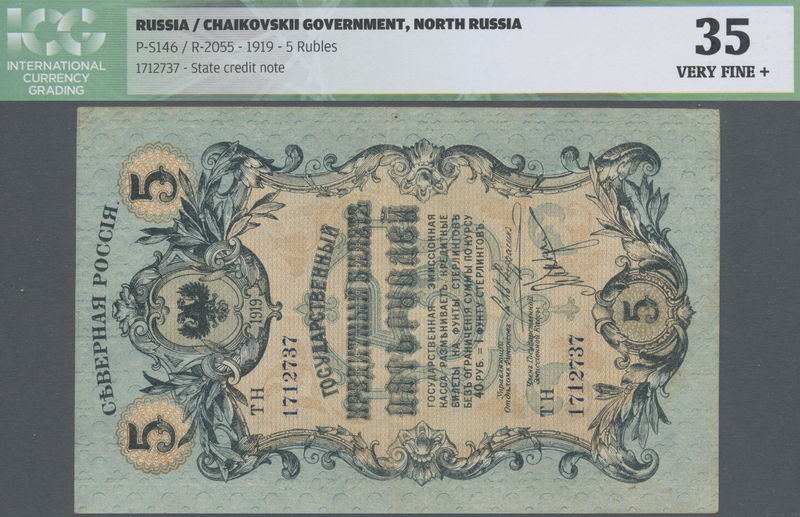 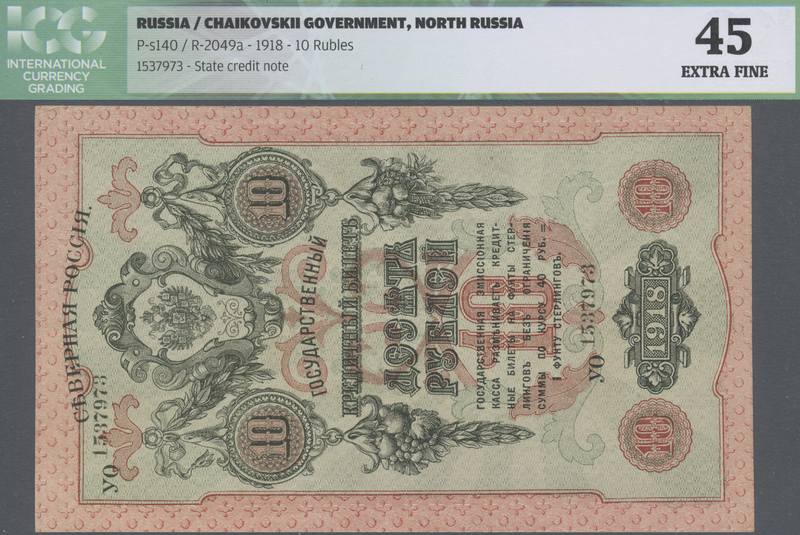 2670 Pick S140 North Russia, Chaikovskii Government 10 Rubles 1918, P.S140, excellent condition, ICG graded 45 Extra Fine. 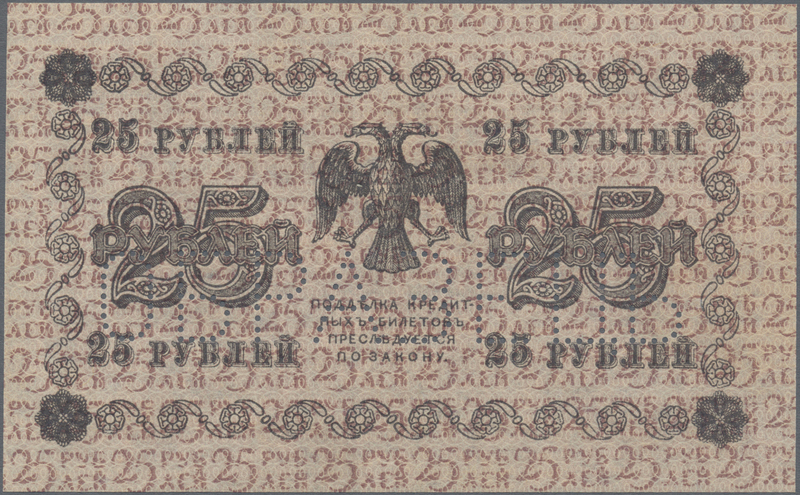 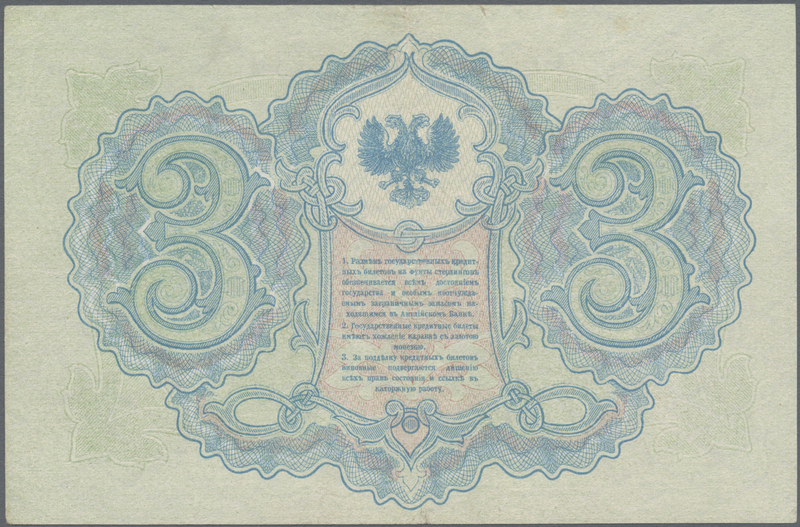 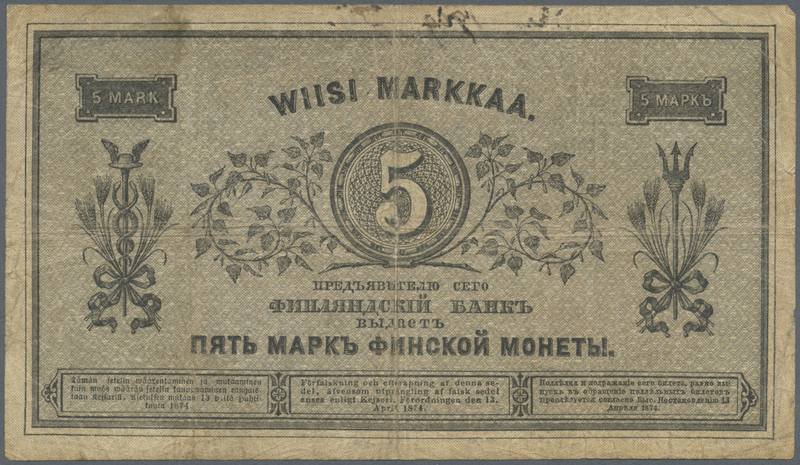 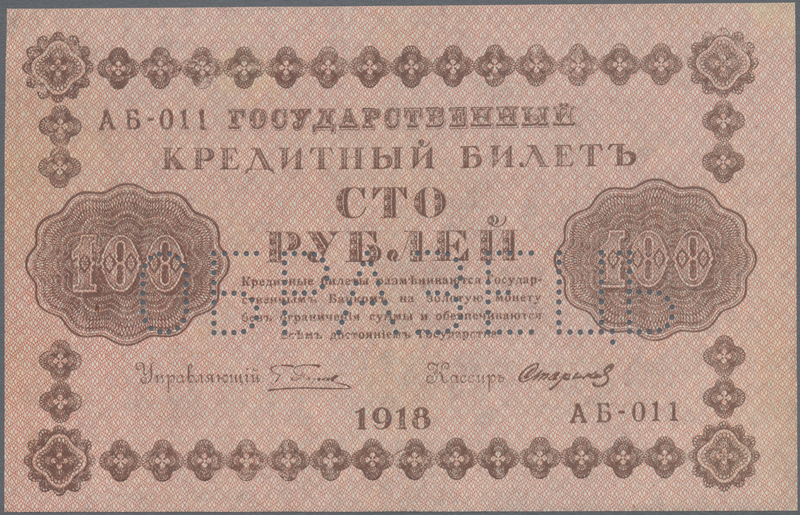 2671 Pick S145 North Russia 3 Rubles 1919 P. S145, folded. 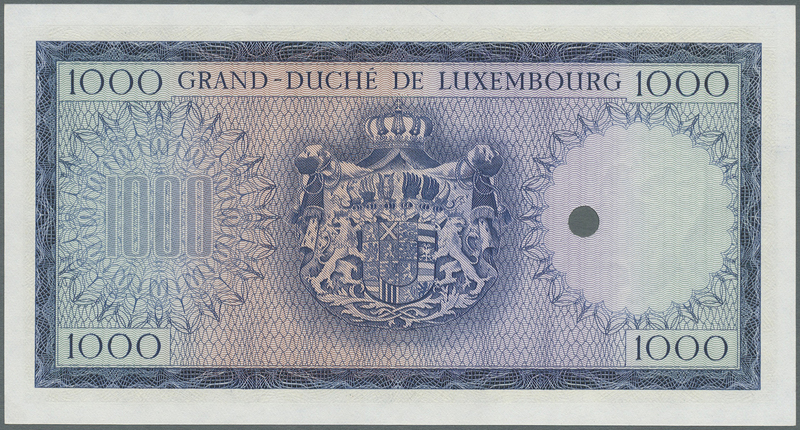 Condition: XF.